In a partnership between Ann Hougland and Randal Barnes, they collectively have decades in the IV industry. 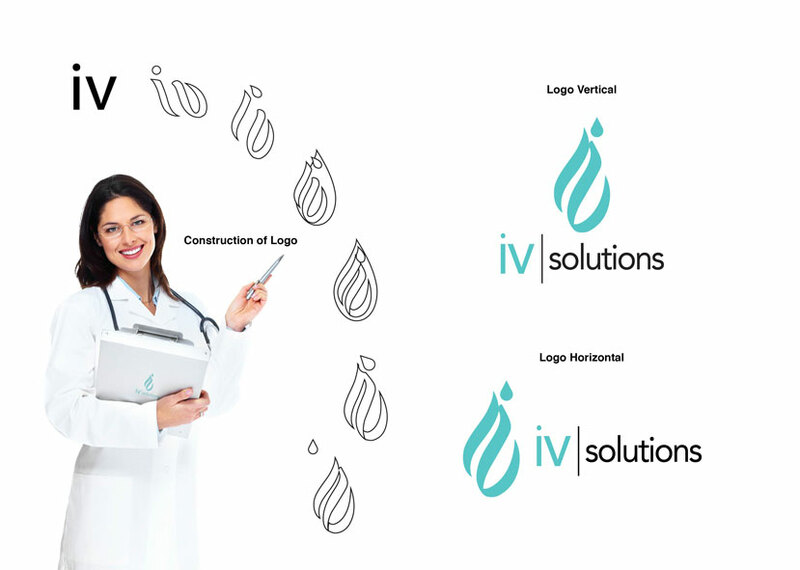 IV Solutions seeks to teach and assist health practitioners how to properly insert ivs into their patients for medical care. Upon recently starting their partnership, they sought a brand that demonstrated a clean, technical, and professional appearance. 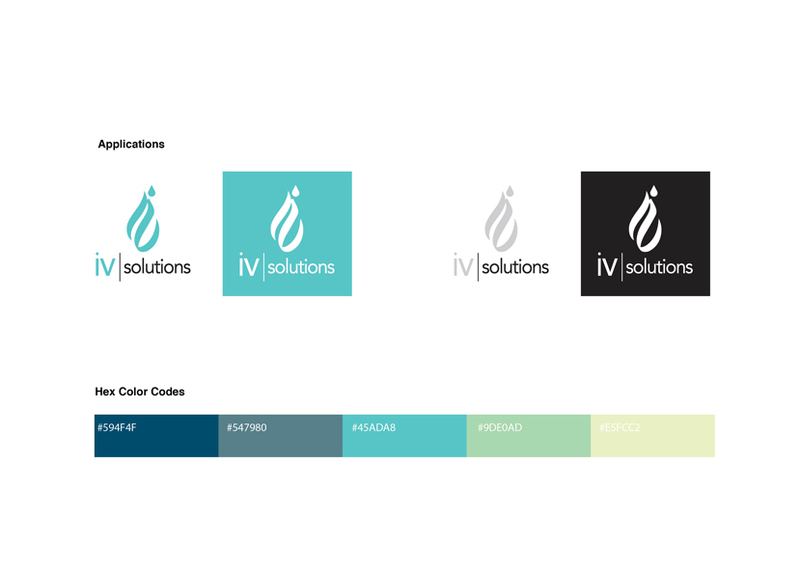 We created a personalized logo for Iv Solutions which is an abstraction of a drop of blood and an IV. We have done passes on the logo to make sure it holds up in in grayscale, monotone, two-tone, and black and white. The Alx team wanted to make sure that all parts of the design process expressed the professional and soft touch of the IV Solutions practice. We provided the iv Solutions team with soft stock business cards with a minimalistic design. The rounding of the corners on the business cards assists with the softer appearance. 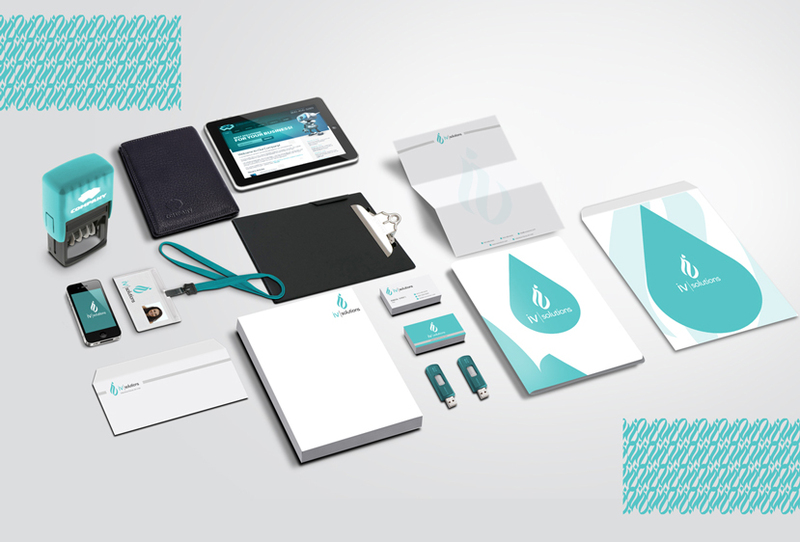 Upon discussing details with their clients, iv Solutions desired having the ability to hand materials to their clients branded with their logo and brand elements.